Each year, the Olympia & Beyond Sports Commission recognizes a few of Thurston County’s most talented student athletes with a series of awards. This past year, the title of Men’s Sport Star of the Year was awarded to Issa Hassan ’18, whose senior campaign with the men’s soccer team earned him a spot on the Cascade Collegiate Conference First Team. Hassan won the award after an absolutely stellar season, but the accolade speaks to his character as much as his talent. In addition to rewarding phenomenal play, the award is designed to acknowledge individuals who have demonstrated strong leadership, tireless dedication, and unparalleled sportsmanship. Hassan also received scholarships from the David Whitener Fund and the Daniel Ira Klein Fund last year. What does being named Men’s Sport Star of the Year mean to you? Issa: It means a lot to me. In fact, I don’t even know how to describe it. Being awarded for playing soccer and giving back to the community is amazing. When and where did you first start playing soccer, and what is it that you love most about the sport? Issa: I played soccer throughout my life. I would play with friends in the park or school playground. When I was 10 years old I began to play competitive club soccer. I played for Northeast United for a couple years, then for Eastside United. The two things I love about soccer are competitiveness and the people. By that, I mean I got to meet people from all over the world. North and South America, Africa, Europe, Asia, and so on. I was challenged to hone my ability to work with people from different cultures, backgrounds, and corners of the globe. Issa: Because I did not have a car, I had to figure out ways to get to practices. I had to overcome injuries and being mentally fatigued. I went through what almost every player has gone through, wanting to quit playing. I almost did. The Geoducks face off against Corban College’s men’s soccer team. 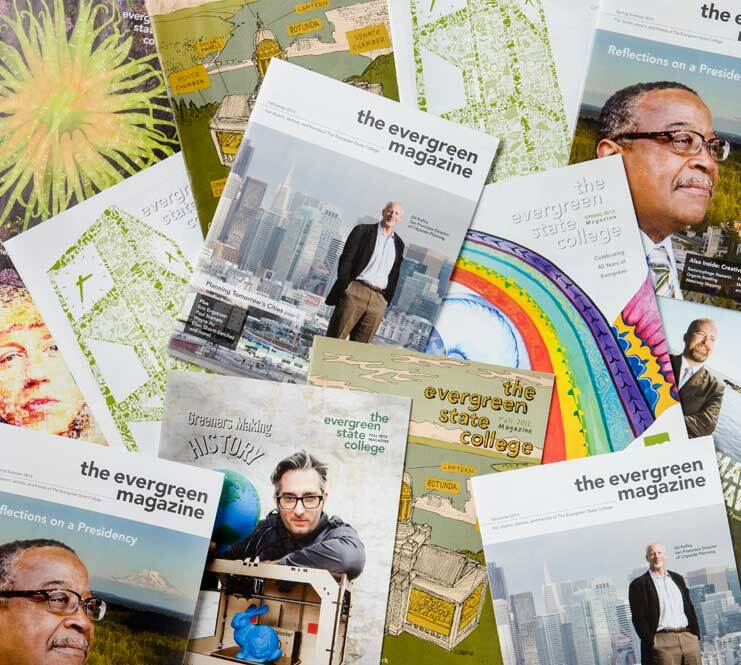 What made you want to attend Evergreen, and how have you enjoyed your time here? Issa: In the real world, professions overlap. This is one of the reasons I chose Evergreen: their interdisciplinary approach. I love Evergreen’s friendly and welcoming environment and community. I really like their athletic program. The people are very friendly and always willing to help with anything. What do you want to do after graduating from Evergreen? Issa: When I first came to Evergreen, I wanted to be a marine biologist. However, as the years went by, I realized that was not what I wanted to do. I became aware of who I am and what I wanted to do. There are a lot of things I want to do, but they all involve giving back to the community. I would love to work with the small Bantu community in Portland.